Numaan Akram, founder and CEO of Rally, believes platform businesses depend on the wisdom of the crowd to truly excel. Rally is a crowd-powered travel service that enables rideshare on buses with an underlying goal of connecting those who share a passion. In conversation with our host, Vivaldi CCO Tom Ajello, Numaan discusses how a platform should not only initiate ideas but also invite its customers to create inspiration and engage their own communities. Tune in to learn how the nature of ownership has changed due to the extent to which platforms and consumer behavior impact each other. A: Rally is a bus ride share platform. Ride share is something we’re all familiar with, and we’ve seen how much technology can affect personal mobility. Rally uses technology to affect high occupancy vehicles, or in other words, group mobility or community mobility. We apply the innovations of the sharing economy to the world of buses and vans. Q: Who are Rally’s partners? Who are the businesses that participate in Rally’s ecosystem and how is Rally driving value for them? A: Rally is a multi-faceted platform. Often, marketplaces are about connecting supply and demand, but we started with the demand. Initially, I wanted to help people get together and thought about how one could move a lot of people from one place to another. I was confident that buses could help solve this problem and with my technology background, I created an app and applied crowd power innovations, such as crowdsourcing, allowing people to sign up for a ride from wherever, letting them add stops along the way, and requiring a minimum number of signups to confirm each trip. This was my intro into the marketplace model, and since then I was able to learn about the network effects. Q: How have you seen network effects change the game for you? A: After Rally’s first trip to DC, I realized that it’s not about the bus or the transportation, but about connecting people with each other and their passions. Traditionally, buses were for pre-formed groups from a church, a school, a corporation, etc., but Rally brings together different individuals who are all going to the same place for the same reason (ex. a concert, a football game, a NASCAR race). It creates an opportunity for these fans to aggregate, network together beforehand, and extend the event experience through the travel time. We let fans and passionate people meet others in their town and have that community experience. Social networking isn’t only online. Q: Data is important for platforms. How has your view of data changed since you started and what does it mean to the business? A: Data is collected from the wisdom of the crowds. We often think of data as points on a map or numbers in a database, but there’s a collective wisdom that data-collecting taps into. All these people are getting into cars and traveling in the same direction, but they don’t know that others are as well, or they don’t have a means to connect with them. Rally looks at 1) the data of the people who let the platform know they want to go from point A to point B, and 2) the data of the bus, the driver, the supply side, which is what investors are interested in. Q: Do you have news to share in regards to investors? A: In addition to our relaunch and new sites and apps, we just closed with our new lead investor, the largest commercial vehicle manufacturer in the world – Daimler – the parent company of Mercedes-Benz. It was really important for them that we are building a platform and not disrupting the industry in a negative way. Q: Why do you think busing is important to a company like Daimler? A: Besides the fact of wanting to sell some more buses, perhaps it’s better to look at other markets again. Why is GM invested in Lyft, Volvos in Uber, Volkswagen in Gett? The nature of ownership is changing, the demand and platforms out there are changing consumer behavior, or maybe consumer behavior is causing platforms. The point is, who’s going to own that relationship with the customer? It’s not going to be the mom-and-pops who can’t keep up with the marketing changes and the technology. Rally is working with these mom-and-pops, acting as their brand, technology and platform, and that’s what Daimler is interested in – how to get access to that. See Vivaldi’s work with Rally. 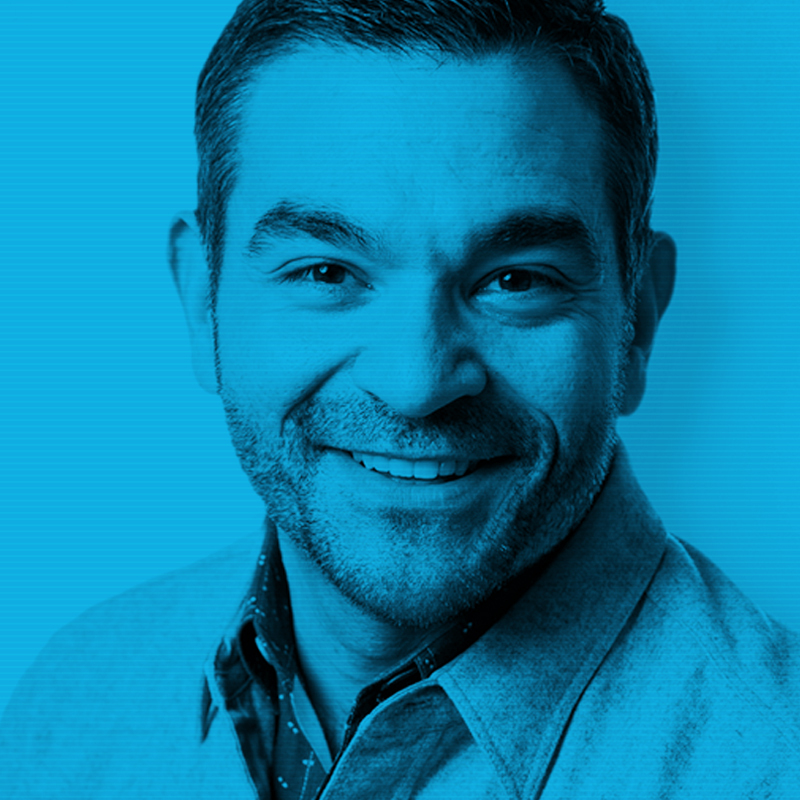 Tom Ajello is Vivaldi's Global CCO. Tom believes in the power of design and technology as a force for building value. He thrives in the middle of what can be done and what will be done, relishing the idea of inspiring the people around him with the seduction of real invention. Today, he leads Vivaldi’s creative vision by collaborating with the firm’s leadership team to ensure our wide range of branding, business consulting, product design, service design, and communications capabilities are equally grounded in creativity, strategy, and technology.